Robert Sackville-West's talk about Inheritance, his book on Knole and the Sackvilles, starts at 7.30pm and will be held at The Methodist Church. Labels: Has anyone read any funny books recently? 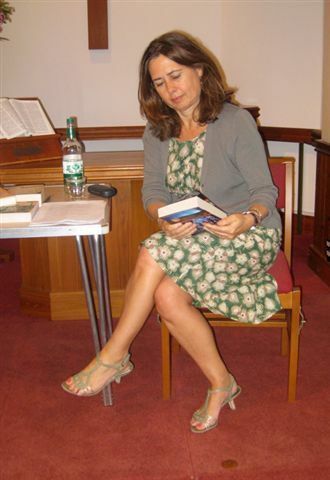 As you can see below, we are starting Independent Booksellers' Week with a flourish - and on Monday 14 June our main event of the week is the talk by Alexandra Shulman, editor of Vogue magazine since 1992, who is coming to discuss the Orange shortlist and prizewinner. 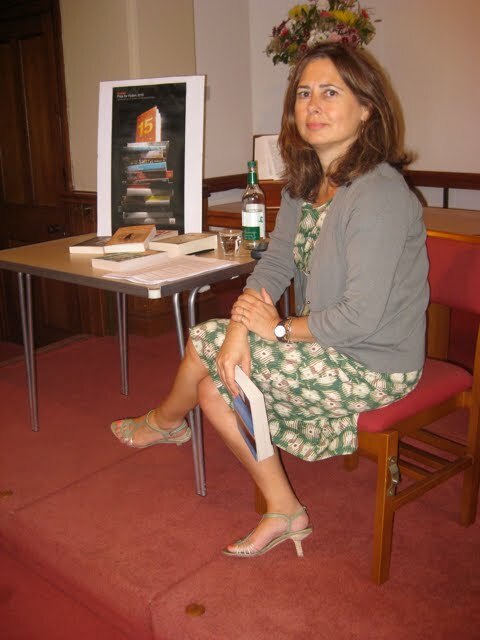 Alexandra has been one of the judges this year and will tell us something about why and how the shortlist and winning title were chosen from the vast number of books submitted for the prize. Please note that this talk begins at the earlier than usual time of 7pm. I think the shortlist this year is excellent - I have read most of them and although I sometimes feel weak in the face of the huge number of book awards and prizes each year and slightly sceptical about some of the winners, I think the Orange Prize has a good history of rewarding excellent writers - Marilynne Robinson, Rose Tremain, Kate Grenville, Linda Grant, Anne Michaels, Helen Dunmore, to mention just a few of them. Martin Amis was speaking at the Hay festival recently, where he complained that only unenjoyable books win awards: "There was a great fashion in the last century, and it's still with us, of the unenjoyable novel. And these are the novels which win prizes, because the committee thinks, 'Well it's not at all enjoyable, and it isn't funny, therefore it must be very serious...It all started with [Samuel] Beckett, I think. It was a kind of reasonable response to the horrors of the 20th century - you know, 'No poetry after Auschwitz'. But I think it's footling and it's a mistake and it's a false lead...You look back at the great writers in the English canon, and the American, and they are all funny...The reason for that is that life is funny. It's horrible, and there are disgusting atrocities et cetera et cetera, but we all know that life is very funny - that's its nature." You may remember that last year we held a launch at the shop for Helen Peacocke's book Paws Under the Table, a book of 40 dog-friendly walks throughout Oxfordshire and the Cotswolds (see the entry for June 2009). Well, she's done it again, she's written another dog-friendly guide, Paws for History, this time not only describing 35 walks and pubs but also giving information about aspects of historic interest - ranging from the stained glass windows in Fairford church to the Maharajah's Well at Stoke Row (there is even a picture of The Woodstock Bookshop on p.156 - not historic yet, but who knows!). Do join us for a walk (dogs welcome) to celebrate - meeting at The Woodstock Bookshop at 3.45, we aim to have a walk round Blenhiem Park and then finish at Harriet's tea room for a well deserved cup of tea while Helen talks about the adventures she had while writing the book. Entry £2.50 to include tea and scone, must be pre-booked at The Woodstock Bookshop. The book is here, the result of months of hard work by the writers and editors and years of their combined knowledge and research on many aspects of the life and history of Woodstock and Blenheim Park and the surrounding villages. It is fascinating and I urge anyone living in the area to have a look at it. There is to be a launch at the Museum Coach House on Saturday 12 June at midday and you are very welcome to attend provided you book in advance. Entry is free; wine and nibbles will be available and the authors will talk briefly about the book. Please ring or email the shop for further information.